Fort Hood officials are investigating a rash of suicides in recent days, including the apparent murder-suicide of a soldier and his wife. 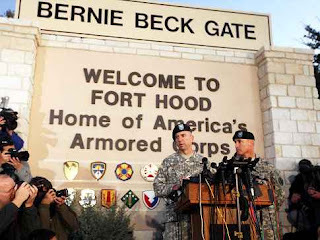 The incidents come as the Army post in central Texas reports 14 confirmed soldier suicides so far this year — matching the record number of Fort Hood soldier suicides in 2008. Six more deaths of Fort Hood soldiers this year are suspected to be suicides. On Sunday, 31-year-old Sgt. Michael Timothy Franklin and his wife, Jessie Ann Franklin, were found shot to death in their Fort Hood home. Army officials are investigating the deaths as a murder-suicide.